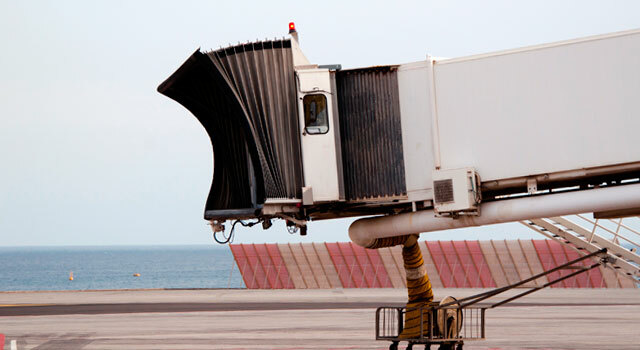 Website with information about Lanzarote Airport: Find the information you need about: Flights (Departures, Arrivals, Airlines), parking, accommodation on the island, car hire, transport and other relevant information Lanzarote airport useful for planning your trip or vacation. 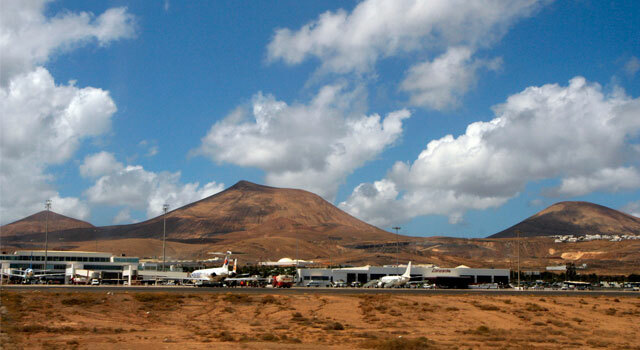 Lanzarote Airport (IATA: ACE) is the third airport in the Canary Islands. 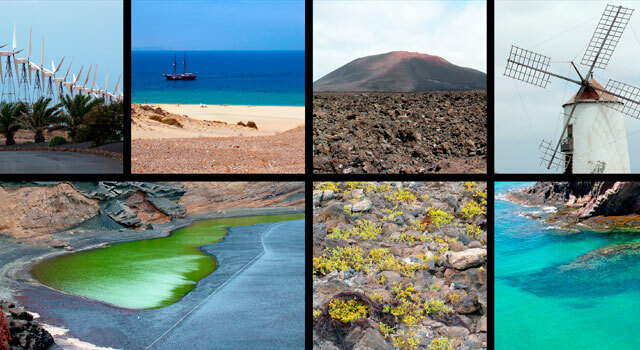 The incredible landscape of Lanzarote, makes this island a unique and full of contrasts. Lanzarote Airport is used by about 6 million passengers per year. Lanzarote, like the rest of the Canary islands, enjoys an ideal climate throughout the year. 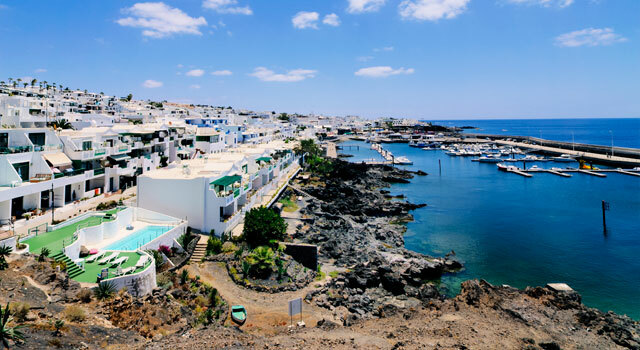 Puerto Calero, south of the island, is one of the tourist destinations of Lanzarote. 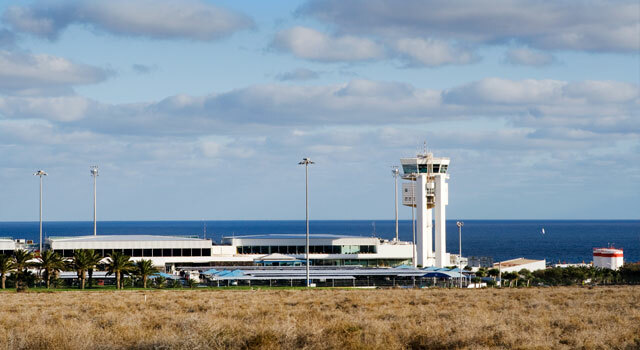 Lanzarote Airport (IATA: ACE ICAO: GCRR), in Spanish Aeropuerto de Lanzarote, is located on the island of Lanzarote, 5 kilometers southwest of Arrecife, the capital of the island. The airport is the main gateway for both domestic and international tourists, allowing up to 6 million passengers a year. Even being a small airport, it has many of the facilities of a large airport and is well connected with the capital of the island by a couple of means of transportation: bus and taxi. Lanzarote is the most northern and eastern Canary Islands, in the Atlantic Ocean, its capital is Arrecife, and has six other municipalities. With approximately 140,000 inhabitants is the third most populated island of the Canary Islands. At the center of the island there is the Timanfaya Natural Park. It is known as "island volcanoes" because much of its surface is covered with remains of eruptions that took place during the seventeenth and eighteenth centuries. Lanzarote is an ideal island to enjoy all year round due to its subtropical climate and its lack of rainfall, being practically zero between May and October. The temperatures do not suffer large oscillations nor during the day nor during the year, rarely exceed 29 degrees in summer, or fall below 14 degrees in winter. Lanzarote is ideal for the enjoyment of its landscapes and nature, these being peculiar to most European tourists visiting the islands. Is the most widely used terminal from the airport (domestic and international flights) and has shopping and pharmacy. See more. Is used for inter-island flights, and flights can be purchased directly at the counter Binter. See more. Taxi: Taxi ranks are in front of Terminal 1 and 2, level 0. Tariffs are regulated. See more. - Line 22 & 23: Arrecife - Airport. - Line 161 & 261: Playa Blanca - Airport and Puerto del Carmen - Airport. Private Transfers: See more information. Lanzarote Airport has a very stable passenger traffic. So between 2000 and 2015, they used between 5 and 6 million passengers a year. Being the ninth airport by passengers number in Spain in 2017 (7,3M), and the third in the Canary Islands.